However, Iran maintains that the United States and other partner nations will soon provide "advanced equipment" for the reactor, which is located near the Iranian industrial city of Arak. "Four countries of the [nuclear negotiating team] have accepted to cooperate with Iran in supplying advanced equipment for the (Arak) reactor and different other issues," Behrouz Kamalvandi, a spokesman for the Iranian nuclear authority, said Tuesday. Kamalvandi said that while Iran could complete the modernization on its own, "it has sought the world powers’ assistance to accelerate the job." 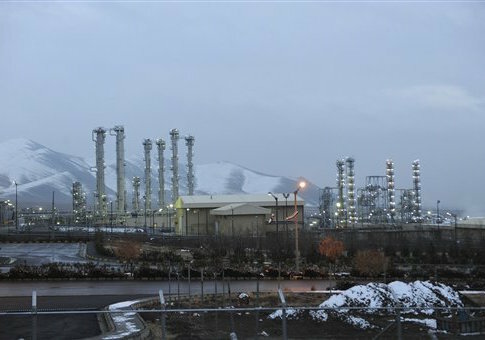 The issue of Arak was a key negotiating point during nuclear talks that recently produced an agreement aimed at curbing the Islamic Republic’s nuclear ambitions. "We have had negotiations on this issue in Vienna and recently, some consultations have been made by the Iranian foreign ministry officials in China," Kamalvadi was quoted as saying. The Obama administration announced that it would assist Iran is rebuilding the Arak reactor when the nuclear deal was implemented in late October. Nuclear experts from the Department of Energy will be tasked with helping to accomplish this goal, according to Secretary Ernest Moniz. "Under the [Joint Comprehensive Plan of Action], one step that Iran must take is to redesign its Arak Heavy Water Research reactor, including removing its existing calandria and rendering it inoperable," Moniz said in an Oct. 18 statement. "To support this effort, the Department of Energy’s nuclear experts will lead the U.S. effort to work with our P5+1 partners and Iran to modernize the Arak reactor, effectively eliminating a potential source of weapons-grade material." U.S. nuclear experts also will provide Iran with "technical advice" on nuclear issues, Moniz said. "In addition to co-chairing the Arak Modernization Working Group, the Department of Energy’s technical experts will also continue to support President Obama, Secretary [John] Kerry, our P5+1 and EU partners, and the [International Atomic Energy Agency] through technical advice and expert consultations on nuclear matters," he said. Assistance will also be provided by the other global powers that helped secure the nuclear deal, including China, France, Germany, and Russia. Seyed Araqchi, Iran’s deputy foreign minister, praised the nuclear modernization project in comments to reporters offered after an October meeting between Iran and the global powers. "A statement was compiled and released by Iran, China, and the U.S. yesterday in which the three countries announced their resolve to modernize Arak site in due time but what is more important to us is an official document which should be signed between Iran and the six members of the G5+1," Araqchi was quoted as telling reporters at the time. A State Department official directed the Washington Free Beacon to Moniz’s October statement when asked for comment about Kamalvandi’s recent remarks.